You, too, can be just like Hard Harry, dropping the truth on your neatly manicured suburban hellhole from the privacy of your sweat-stinking bedroom. Tell the man off. Rail against the principals. Get the FCC on your tail (not really.) Because FlipZu is here to help you build your own pirate radio station. 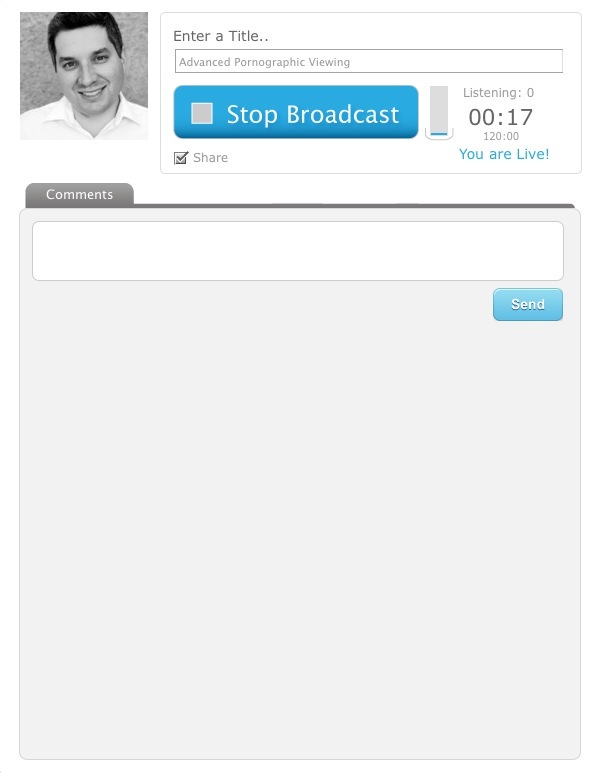 The browser based app (Android and iPhone versions are also available) lets you broadcast live. That’s basically it. You press a button, perform a mic check, and start railing against the Illuminati and the Bilderberg Group. People can listen to you live or they can listen to your previous recordings. Founded by Dario Rapisardi and Lucas Lain, both based in Argentina. Their blog includes instructions (in Spanish) about how to build a radio station using the app and a few pieces of software. “We started it a little bit over a year ago, me and a college friend, self-funded. We just recently got a small private investment from a local investor – $150,000 – so we incorporated and we’re hiring a couple more people soon,” said Dario. regular basis, it was used by former President Lula of Brazil, and it’s being used daily by one of the most popular radio shows in the city,” he said. This idea isn’t new. BlogTalkRadio has been doing this for a while, although they’ve focused on the call-in method of recording and transmitting. 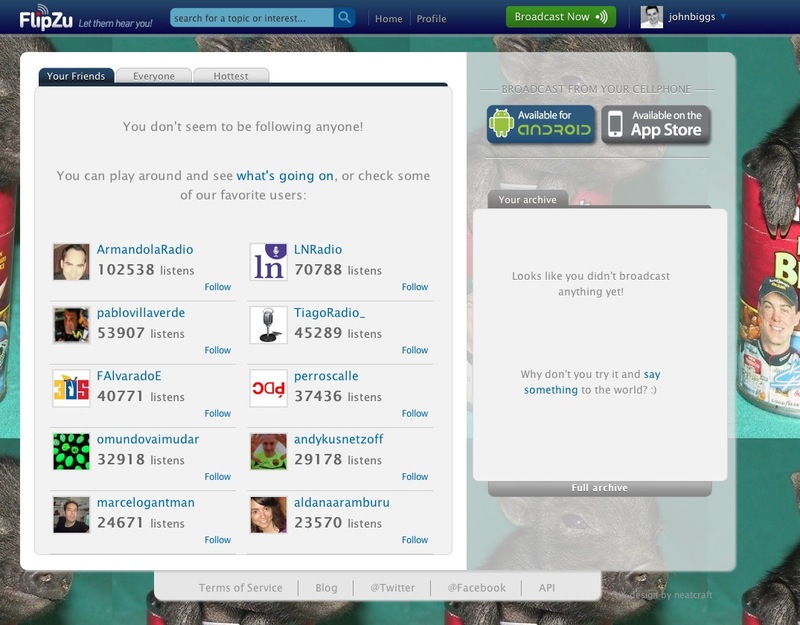 FlipZu is also fairly limited in terms of media availability and downloads right now although you can create an RSS feed of your recordings, thereby creating a podcast feed for various media players. It could be a great way to run live interviews at events and surreptitiously record Apple press conferences. I tested it out a few times here and once I’m ready to start recording my survivalist rantings between 2am and 5am every night until the Elder Americans return to Earth from the Moon, I’ll let you guys know.